Social media has become an essential part of the marketing mix for small businesses! It has changed “word-of-mouth” into “world-of-mouth”. Companies are increasingly using social media tools to monitor conversations about their brands, competitors and engaging with their customers in new ways. There are three phases of successful inbound marketing are getting found, converting leads, and analyze. Simply put, there are three steps to getting found online. Create great content. Optimize your content. Promote your content. The key is to create content people want to promote, share, and link back to. Content is more important than SEO and social media. 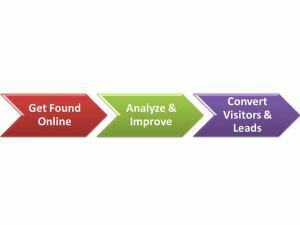 In order to have a comprehensive and effective inbound marketing campaign, it’s key to include all three forms. Initially, inbound marketing content is created a published through sources such as a blog, white paper, case study or video. Then, through proper use of SEO (search engine optimization) said content is made more accessible, increasing its ranking. Finally, social media mediums (i.e. Facebook, Twitter and LinkedIn) are used to spread the content. Inbound Marketing Part 1 – Are You In or Out? Today we are going to explore inbound marketing vs. outbound marketing. Inbound marketing (a term coined by Brian Halligan) is a marketing strategy that focuses on getting found by customers. It requires companies to “earn their way in”. An example is publishing a helpful blog. Inbound marketing is a complete contrast to the in-your-face style of marketing known as outbound marketing.